My apologies to those that have become accustomed to Kerry’s weekend recaps unfortunately mine will not be as creative and fun to read as his. Happy Birthday my dear friend and we hope you and your wife are enjoying the sun of Mexico! Let’s start off on the boy’s side of the house. First up are the 17U Rangers who entered the first Premier of the season ranked number two. Although Coach Dunning and Gaboury will NEVER allow this as any type of excuse the bulk of the Rangers were all coming off of a busy high school season and load were they were all significant contributors to their high school team’s success at the top of the OFSAA draws. As well their setter had suffered an ankle roll thus making for training and rhythm to be thrown off in training. The boys weren’t able to gel and finished 7th and have been relegated to the Championship tier for the next OVA competition. This will be a new challenge for the boys who have the pedigree of being 15U Provincial Champions, National silver medalists at 15U and Ontario and National bronze medalists at 16U. They will be the first to tell us that wins in December don’t matter it’s the ones in April and May that do. Our 16U Longhorns, having just qualified for the Premier tier at their own age group the weekend previous, entered their first 17U tournament playing at the Championship tier. The boys battled hard but in the end lost 13-15 in the third set to the Barrie Elites in the 5th/7th match. As mentioned above, Kerry was not able to be with the Longhorns and lucky for him that was the case as the Elites are coached by his university teammate Dave Gross. As MacLean writes in his text: “I’m so glad I wasn’t there to have to suffer that trash talking”. These two coaches remain close friends and have joined forces to coach Team Ontario in the past, coaching current Team Canada setter TJ Sanders and former Maverick, National team athlete and current professional Jeremie Lortie. Well done gentlemen and I am sure the experience will serve you well for your season. Staying on the boy’s side the 13U Boys were in Barrie competing in their second OVA competition of the year. The first report has the Copperheads claiming silver losing to Pakmen in the final. The last report in for the Diamondbacks had them playing for 5th/7th. More details to follow. Once again the future looks bright for our boy’s program, as these young men are training and developing very well. 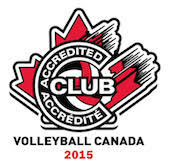 On the girl’s side the OVA had 17U and 15U competitions this week and it was a busy one. A team that is near and dear to me are the 17U Gold Rush. They were looking for a promotion to the Premier tier after having finished 9th in Ontario last season. The Gold Rush won their pool and then proceeded to beat Synergy 16U in the quarter final in three sets. That set up a match up against the Durham Attack 16U who are the defending National Champions at 15U. The Gold Rush were able to beat this talented team in three sets to get to the Premier promotion final against DRVC. Although they played well for parts of the match they lost in two sets to DRVC. This team is once again on the cusps of great things playing in a very tough 17U age group. How tough? · Last year’s 16U Pakmen team won the 17U Provincial Championship. · Both teams did not medal at the first 17U Premier event meaning that last year's teams have all improved significantly as 17U teams. Keep working ladies good things will come! The 16U BlackJacks also qualified to play at 17U Championship for this tournament and came in limping. The injury bug and some REAL HEAVY high school programs have devastated them. Coach Spack has had the misfortune of having at the most 5 athletes at practice for the past 3 weeks. The BlackJacks had 7 players for the tournament one of which was a libero and as the day went on they were down to 6 players and the libero having to swing outside due to another injury. They fought hard in the 5th/7th match but unfortunately lost and have been relegated to Trillium at the 17U level. Hats off to the 7 ladies that battled throughout the day and we wish the 4 others who are injured a speedy recovery. The 16U Wildcards made their way to Scarborough to play in the 17U Trillium tournament. After finishing first in their pool with two convincing 2-0 wins over the Belleville Ravens and Uxbridge Cosmos they continued their great play with a solid 2-0 win in the quarterfinals against EOVC Airforce. There they met their match in a very strong Scarborough Titans 16U team so it was off to the bronze medal game. They have made the bronze medal game in each of our first two events but have come out on the wrong end of each of them. Third times a charm as they defeated Peterborough Thunder to achieve their goal of coming home with a medal in an exciting and intense three set win! Playing up an age group and with a short bench they had an amazing day with some great all around effort and intensity throughout the entire day. To make the trip home with a medal around they necks proved to them that they are well on their way to getting better at each and every event! A great way to head into their next 16U tournament before the holidays. Now on to the six teams that competed at the second 15U competition of the season. Starting at home in Ottawa where we hosted the 15U Trillium event. That event featured the 15U Stampede, 15U Scouts and 14U Outlaws and 14U Raiders. That meant some 20th ranked teams from last year’s Provincials would be competing against teams that finished in the 80s for the second 15U Trillium tournament of the season. While teams that were ranked in the 40s and 50s from last season got promoted to Championship to face other significantly lower ranked teams at the second Championship tournament. That was the case for the Stampede who were also limping with injuries. They started the pool play without the services of a setter. They had one setter who is out due to illness until after Christmas and the other setter woke up that morning with some muscle cramping issues and was unable to play. They played the whole pool play without a trained setter and were able to win both matches. They won their quarterfinal match and that set up two matches against Maverick teams to accomplish their goal. In the semi final the Stampede faced the 14U Outlaws. This team was one tough customer as they are tied for first in Ontario at their age group. They pushed their older Club mates but in the end the experience and determination of the Stampede won the match in two sets. That win set up the all-important final with the winner getting an automatic berth to Championship for the third OVA competition. The Stampede was pushed to the limit by the Scouts winning the first set 23-25. The Stampede figure out their Club mates in the second and earned a trip back to Championship for the third OVA competition of the season. Having established a performance baseline following the OVA #1 tournament last month in Pembroke, the Maverick Scouts were focused on improving their results in this only their second OVA tournament. With the tournament format set at three pools of three teams, the Scouts found themselves in the same pool as a determined Maverick U14 HP Raiders team and a visiting KVC Team from Kingston. Despite a slow start in the first match the Scouts defeated the Raiders 2-0 in sets, and were successful in squeaking out a close 2-1 set win (23-25, 28-26, 15-12) against a taller KVC team, thereby finishing top of their pool. The Scout's first match in the championship round was against the Vikings which they defeated 2-0 in sets which earned them a rematch in the semi-finals against the Pumas, a team that they had lost to in the OVA #1 tournament. They avenged their previous loss with a convincing and satisfying win (25-10, 25-12) to earn a berth in the final match against the Stampede squad. Despite being somewhat intimidated by a bigger, stronger and better skilled team, the Scouts pushed the first set, but fell just short 23-25, losing the second set and having to settle for a silver medal finish. The team achieved its tournament goal of making it into the gold medal match and finishes the year on a high note carrying momentum into the New Year. It was a complete podium sweep for the Club as the 14U Outlaws beat the Puma for the bronze. Unfortunately they and the Raiders have not reported in as of the time of this article. Will add as they report in. Onto the Championship tier were the 15U Trailblazers earned a Championship berth after their opening tournament bronze medal. The girls played extremely well in all their matches and lost a heartbreaker in 3 to the Suns 15U team in their quest for a medal. They finished with a successful debut at the Championship level beating the Peterborough Thunder to secure 5th place in the tournament and their spot at the Championship tier where they will be joined by their Club mates the 15U Stampede for the third OVA competition of the season. This is the first time at this age group that we have a team in Premier, two in Championship and the fourth with a wildcard possibility for another Championship berth. We are keeping our fingers crossed for the Scouts! Best of luck to the teams competing in the December 19th tournament and over to you Kerry for that round up!